Research by the University of British Columbia's (UBC) Department of Ophthalmology, Visual Sciences, Experimental Medicine and Neuroscience has exposed 30 years of corruption and lies concerning government vaccination policy. An extensive investigation into the inner workings of the U.K.'s nationalized healthcare system has revealed a shocking scandal of official meetings by UK government vaccine committees and independent medical ‘experts' with drug industry connections. Dr. Chris Shaw and Dr. Lucija Tomljenovic from the University of British Columbia in Canada, published a peer reviewed paper in the Journal of Inorganic Biochemistry, which details government ties to pharmaceutical companies and cooperation with vaccine manufacturers on strategies aimed at boosting vaccine uptake. According to Dr. Chris Shaw and Dr. Lucija Tomljenovic, the advisory and governing bodies that set vaccination policy in the U.K. have, for many decades now, hidden the truth about vaccine dangers, and deliberately pushed unsafe vaccines on the public in order to uphold the official vaccination schedule. A quote from the published, peer reviewed paper states: “British health authorities have been engaging in such practice for the last 30 years, apparently for the sole purpose of protecting the national vaccination program”. As a result of the vaccination policy promoted by the British Government, many children have been vaccinated without their parents being disclosed the critical information about demonstrated risks of serious harmful reactions. There is now a plethora of scientific proof that vaccines are actually implicated in most common diseases today and that childhood vaccines, flu shots and other kinds of inoculations systemically destroy the body's immune system. 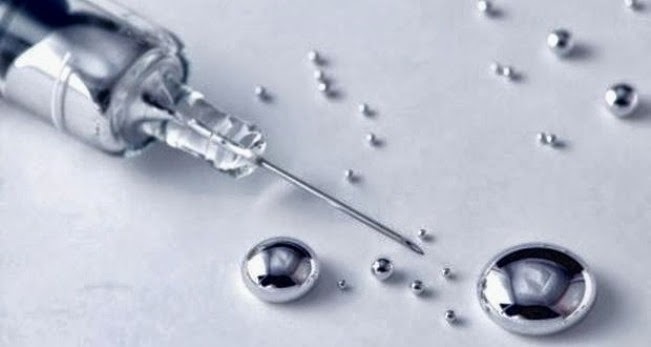 Furthermore, the research shows causal links between increased exposures to aluminium salts used as adjuvants in vaccines and increased levels of neurological trouble in exposed populations. It's disturbing to know that the majority of medical literature examined by researchers comes straight from pharmaceutical company-sponsored medical research. And any research expressing opposition to vaccination is discredited and silenced. For concerned parents seeking the truth, it's worth remembering that the exact same people who own the world's drug companies also own mainstream media news outlets. How much time would you spend on research before you purchased a washing machine, a car, a home? Would you spend an equal or greater amount of time researching an "Immunization Program", a decision which has life and death consequences for yourself and/or your children?